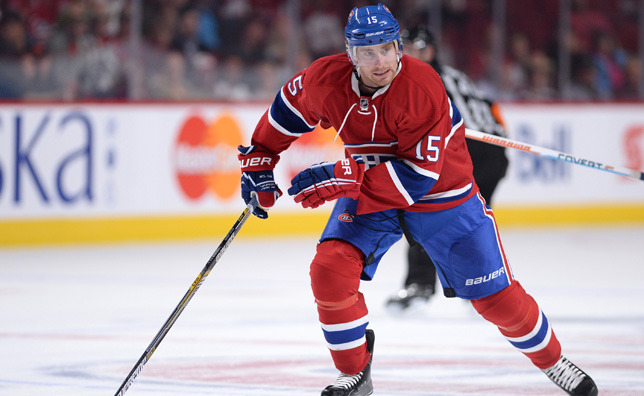 MONTREAL – Montreal Canadiens general manager Marc Bergevin, announced Sunday that the team has agreed to terms on a one-year contract (2015-16) with free agent forward Tomas Fleischmann. Fleischmann, 31, played 66 games with the Florida Panthers and Anaheim Ducks in 2014-15, recording 29 points (8 goals, 19 assists). The 6'01’’ and 186 lbs left winger served 12 penalty minutes and maintained a +12 differential, while averaging 14:42 of ice time per game. Since making his professional debut with the Washington Capitals in 2005-06, Fleischmann has played 581 regular season games, contributing 310 points (123 goals, 187 assists). He has scored 29 goals on the powerplay, one while shorthanded and totals 20 winning tallies. He has six 30+ point seasons, with a career-high of 61 in 2011-12 with the Panthers, in 10 full seasons in the NHL, with Washington, the Colorado Avalanche, Florida and Anaheim. He has served 168 penalty minutes. Fleischmann added nine points (4 goals, 5 assists) in 35 career playoff contests in the NHL. One of his goals came on the powerplay and another one was a game-winning tally. Fleischmann suited up for Czech Republic on the international stage at the 2010 Winter Olympics in Vancouver, at the 2003 and 2004 World Junior Championships, and at two World Championships (2008 and 2013). A native of Koprivnice, Czech Republic, Fleischmann was selected in the second round, 63rd overall by the Detroit Red Wings at the 2002 NHL Entry Draft. He was invited as a professional try out to the Canadiens’ training camp. The forward appeared in four preseason games, registering three points (1 goal, 2 assists) and a +1 differential.